You can leave it to the Japanese to come up with weird yet ingenious ideas. 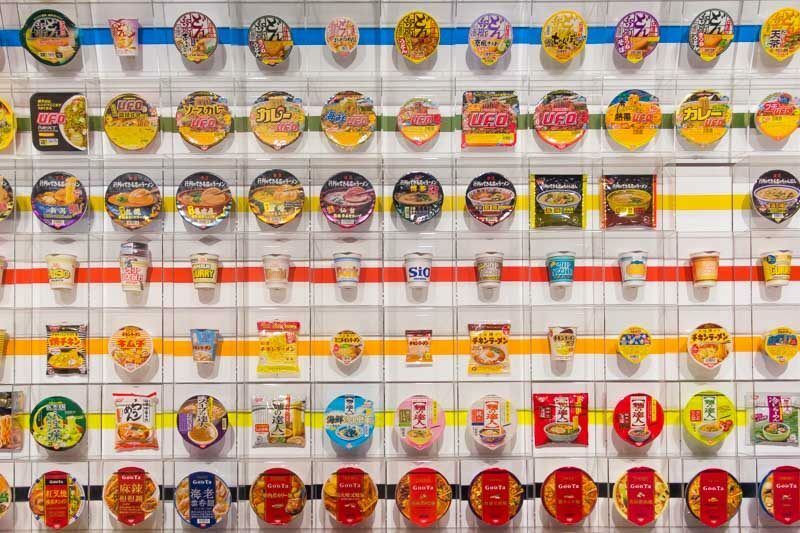 But of the myriad of quirky inventions that the Japanese have created, we can agree that cup noodles are arguably one of the best. 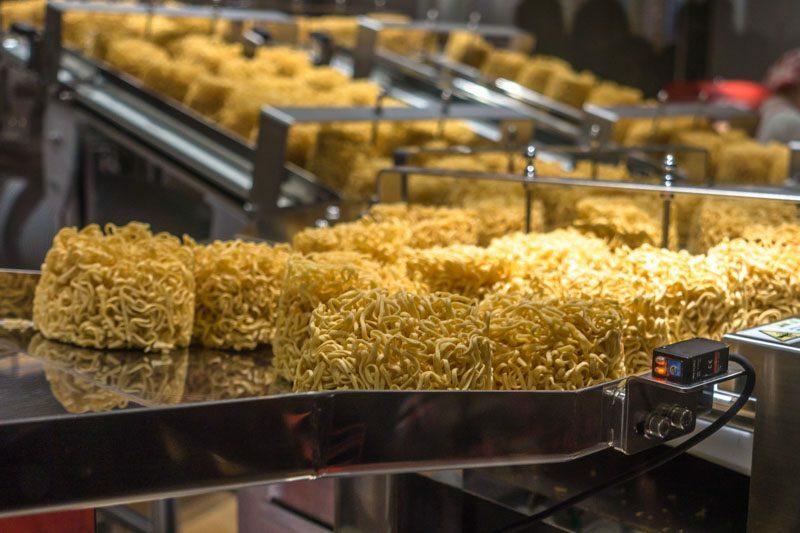 The brainchild of Momofuku Ando, the founder of Nissin Corporation, instant noodles has revolutionised the food market (and transformed the lives of many broke students). 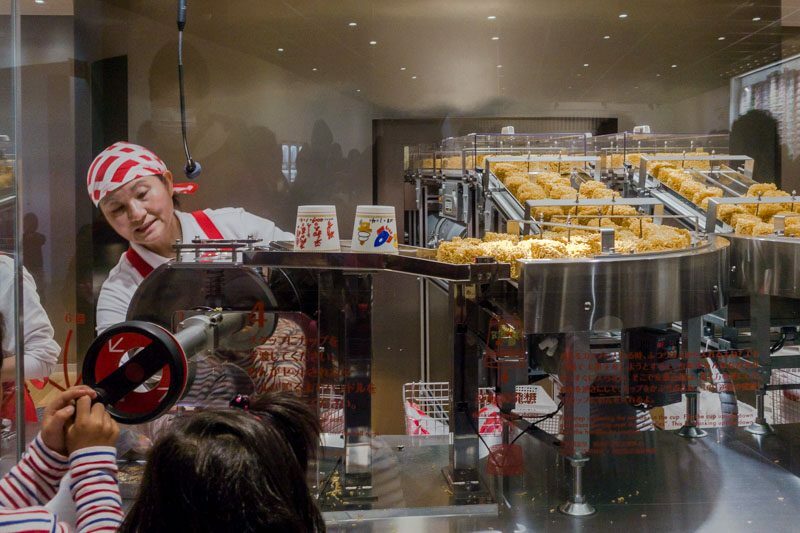 The Cup Noodles Museum in Japan was erected to commemorate Ando and his addictive creations. On a recent trip to Japan, I made it a point to visit the branch in Ikeda city in Osaka and I was not disappointed. 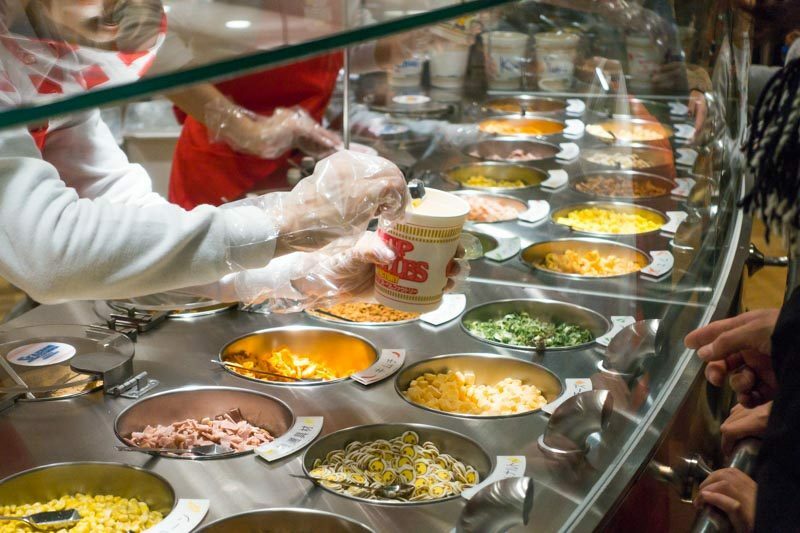 A stone’s throw away from the Ikeda Station (Hankyu-Takarazuka Line), one can expect to learn the history behind instant noodles, its founder, and, at a small fee, get the chance to create your very own “blend” of cup noodles. Admission to the museum is free and the museum is closed every Tuesday. 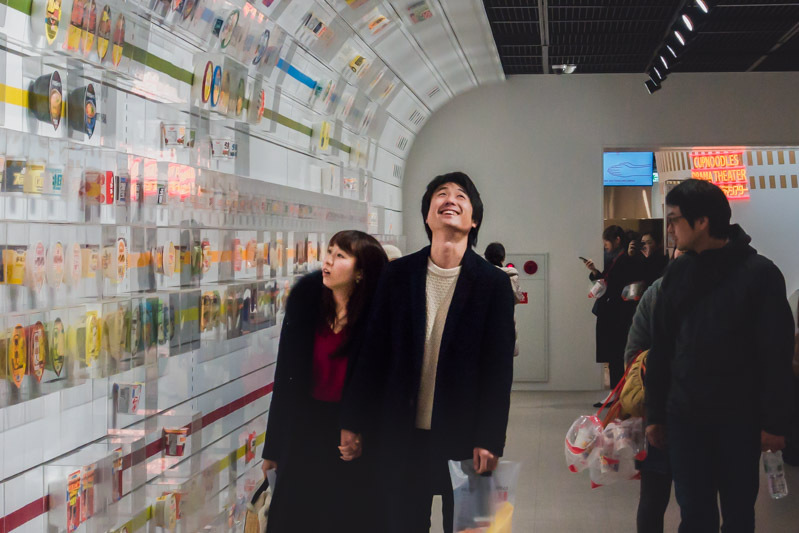 It was a bit of a challenge navigating past the entrance leading to the first exhibit thanks to a throng of couples and Japanese preschoolers who had their feet rooted to the ground, gazes fixated onto a wall of instant noodles. The museum’s first exhibit is a captivating one. 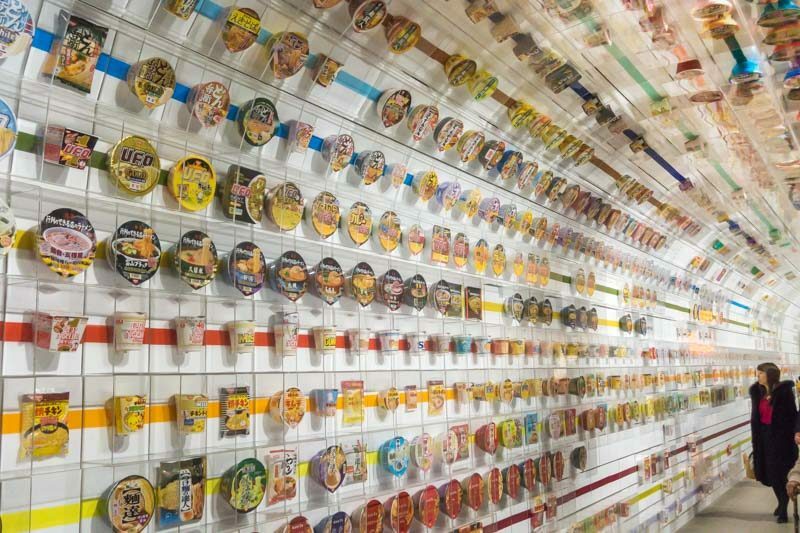 The extensive wall of instant noodles, which I later learnt are some of Nissin Corporation’s discontinued creations, commanded quite the presence, one worthy of a feature on any Instagram feed. 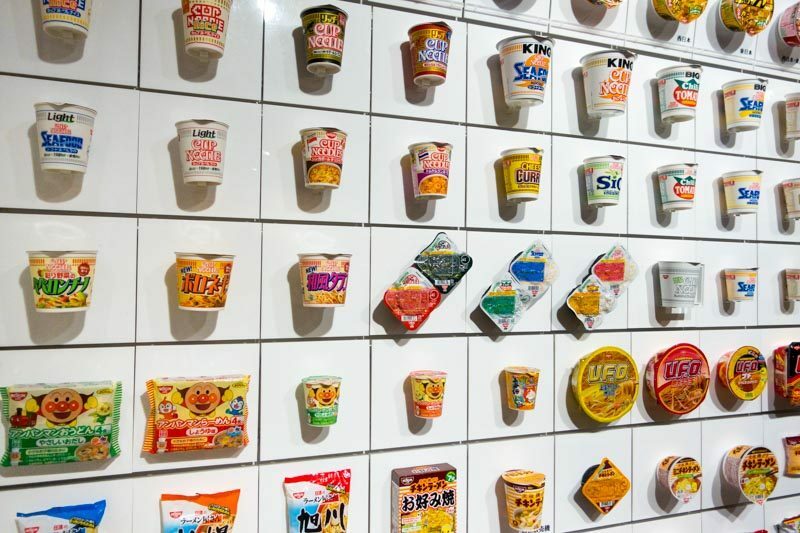 The instant noodles we know of today come in various flavours. 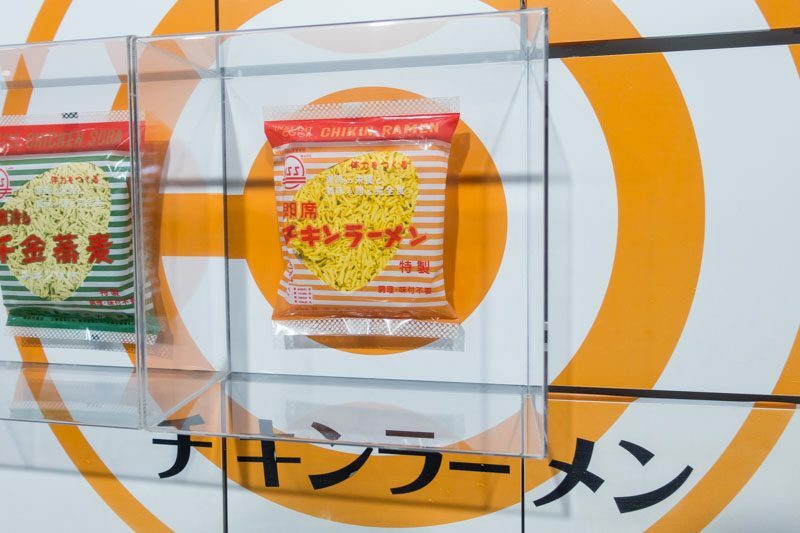 Some are bold, like the spicy Samyang Hot Chicken, while others are lightly-flavoured, like the Kyushu White Ramen. Not forgetting, the audacious and exotic few, like the limited edition Softshell Turtle Soup. 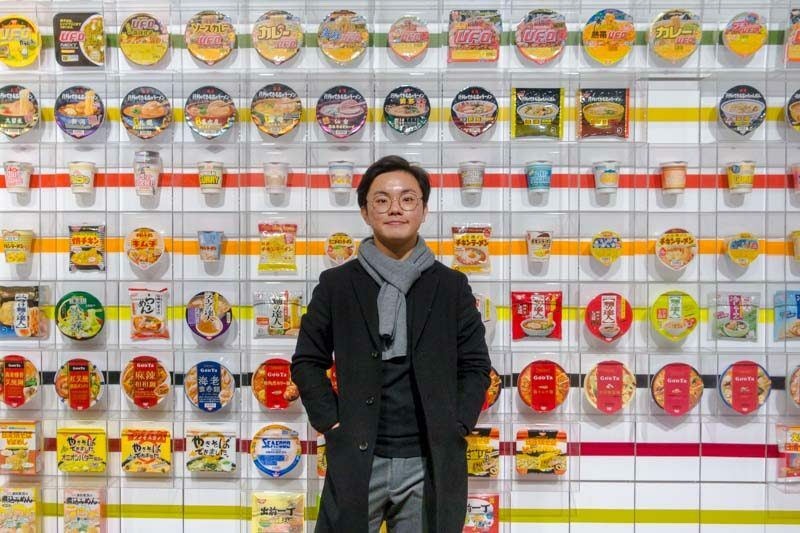 What you might not know is that the first cup noodles ever created was in 1958. 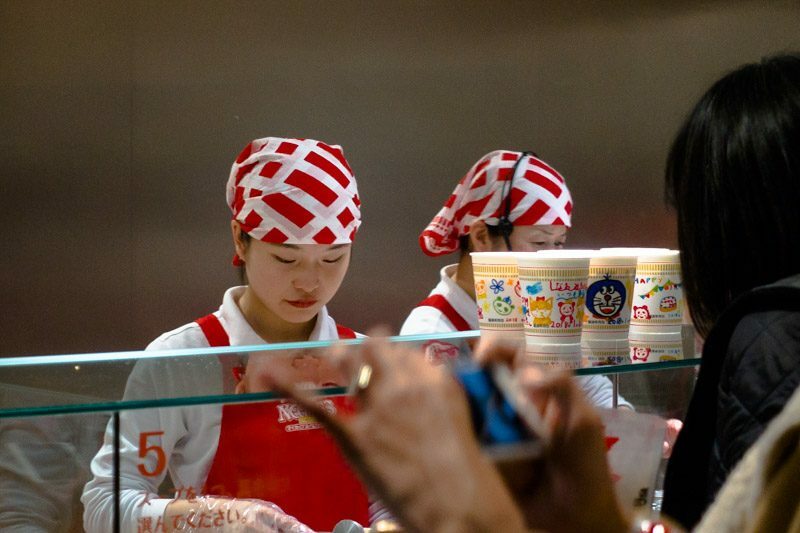 It was chicken-flavoured and the locals called the then-novelty, “Magic Ramen”. 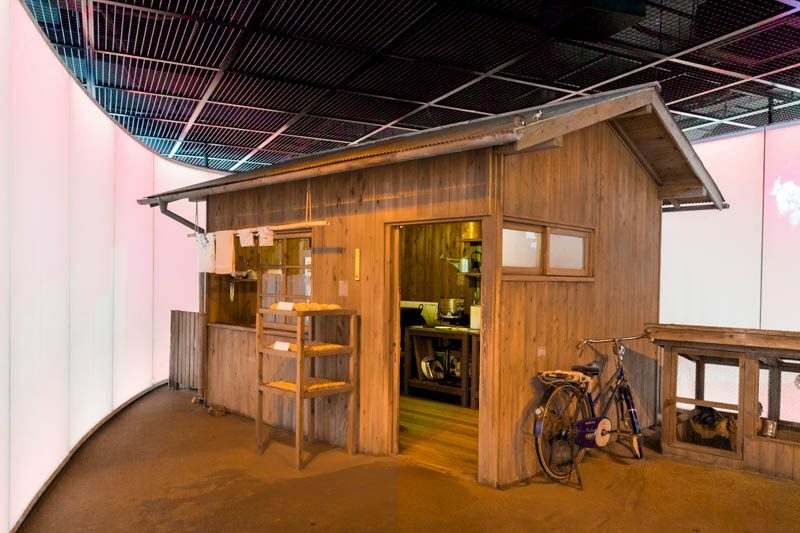 Ando’s conviction to create something for the masses formed during post-World War II, where he witnessed starving children roaming the streets scavenging for food. The idea developed further when he observed people queuing for hours for a bowl of warm noodle soup. He figured if people were willing to brave the trouble for a bowl of soup, he would make noodles easily available to them. And so, his quest for the perfect food formula began in a rustic wooden shed. The mind has a way of making things happen; a single idea and a fierce resolution are what one needs to create magic. 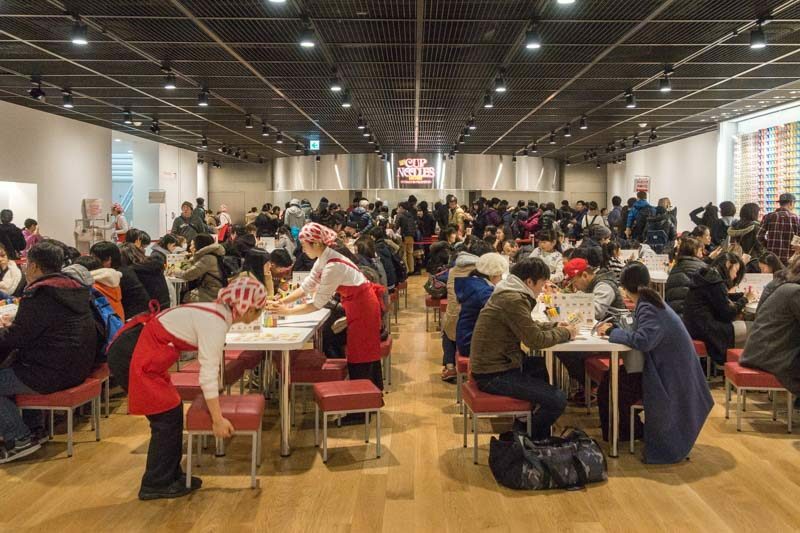 In Ando’s case, the magic came in the form of “Magic Ramen“, which eventually changed the way man approaches food. Priced affordably at ¥300 (approx. 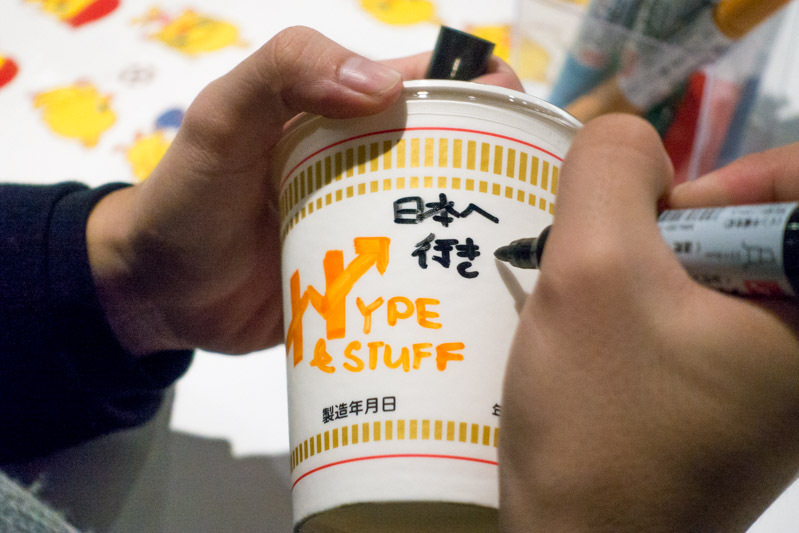 S$3.80 per cup), visitors can get the chance to customise and create their unique cup noodles after checking out the museum. The entire experience lasts an hour depending on the crowd. 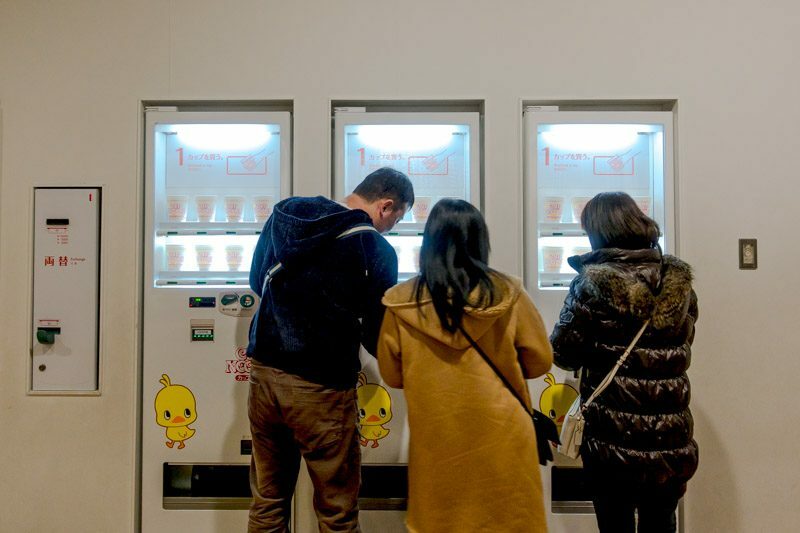 You will have to first queue to purchase your instant noodle cups at the vending machines before you are ushered to an empty seat, where you can make use of the available stationery to design your purchased cups. 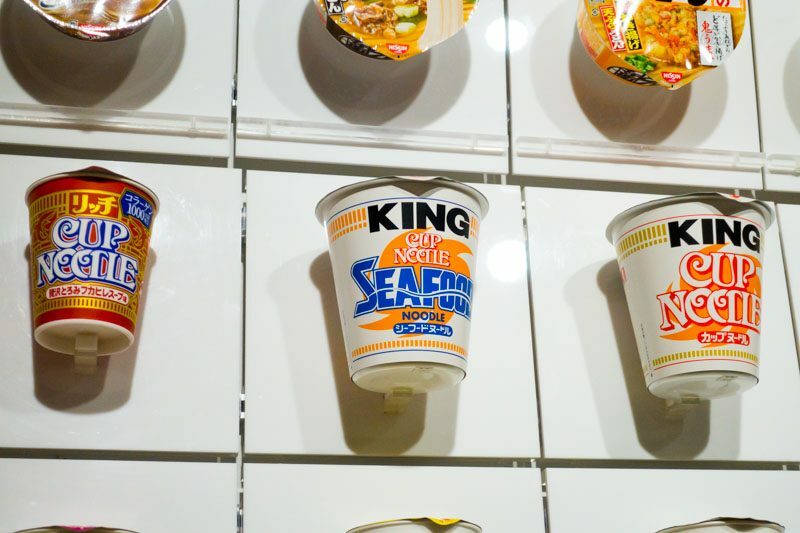 These cup noodles make excellent souvenirs to bring home so I do recommend spending a little more time on it. 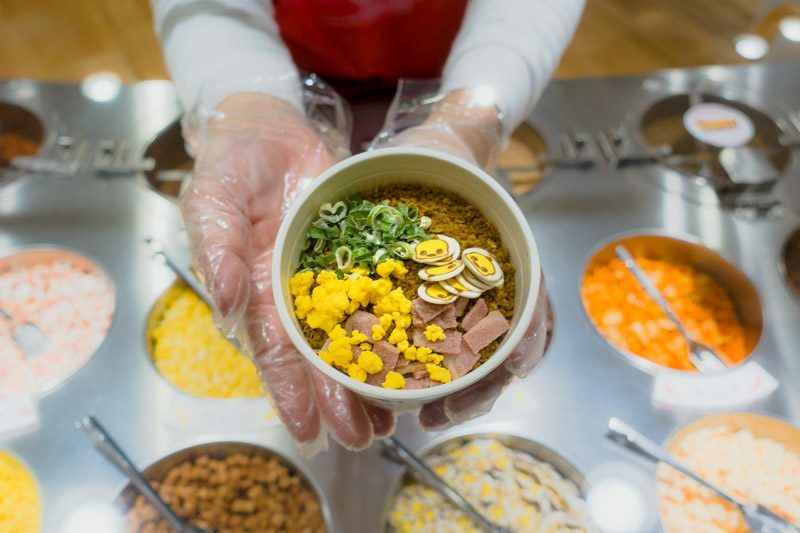 After you are satisfied with your design, the staff will direct you to the next station where the noodles get inserted into the cup before you head over to the toppings corner. 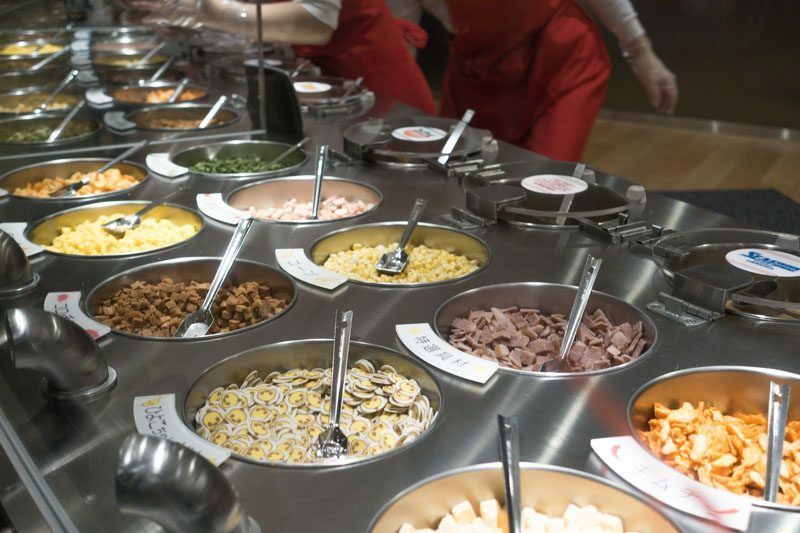 At the toppings corner, you can choose one out of four soup flavours (Original, Japanese Curry, Seafood, and Chilli Tomato) and four out of 12 toppings to be placed in the cup. The entire process is fuss-free and the amiable staff, who are proficient in English, will guide you along the way. I chose the unique Japanese curry-flavour as my cup noodle’s soup base. Besides the conventional fried eggs and green onions, I also opted for Japanese-exclusive toppings, such as the Hiyoko-chan fish sausage and roast pork. There is something so special about museums, and it’s even better when it’s all about something so close to your heart (and your tummy). 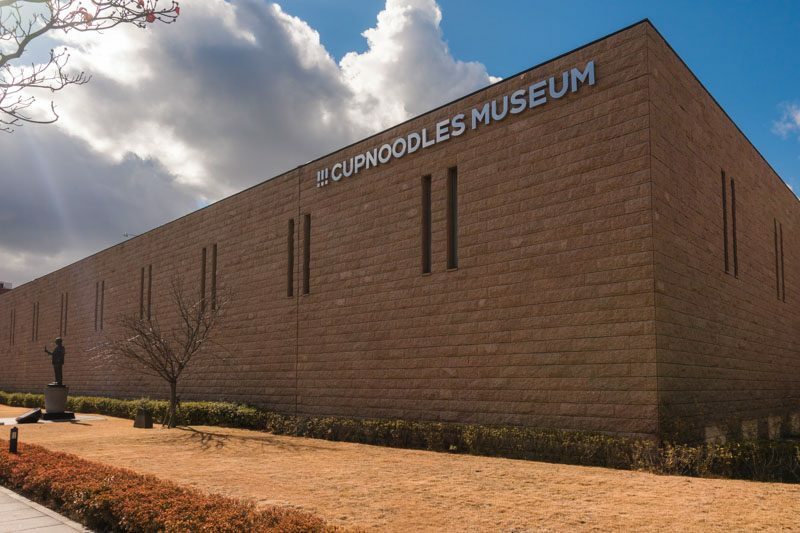 The Cup Noodles Museum is one of the many gems that Japan is home to. I have been to many places — shrines in Kyoto, owl cafes, reptiles cafe to list a few — and I must say, I am still barely scratching the surface of this amazing country. Make the journey down and you won’t regret it!